46 Lukie Points will be rewarded to you when you buy this. 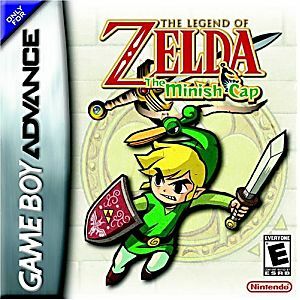 Legend of Zelda Minish Cap GBA Game Boy Advance Game Cartridge Cleaned Tested and Guaranteed to Work! Quite pricey, Zelda game that never came out on NES. Good graphics. It works very well! No issues at all! The game got here early too. Still the best after all these years. Nostalgia goes a long way to bring happiness into your home. The music and graphics of this game will wash every happy feeling of your childhood right back into your living room. The seller of this game is phenomenal. Great quality, working game. Excellent condition. Pricey, but consistent with market value (even slightly a bargain at luckie games). 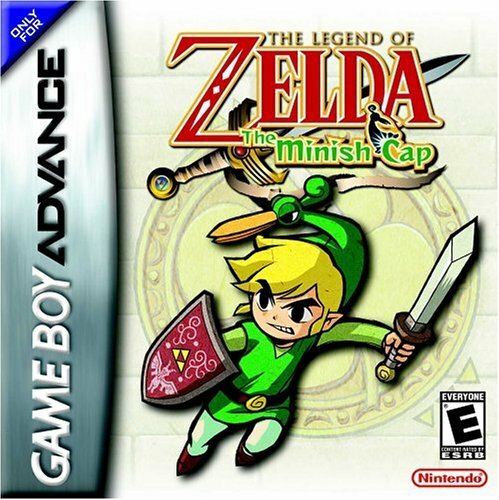 Despite slow arrival time, The Minish Cap is already a fantastic game to play. The cartridge is in good condition and I'm very happy with the purchase. I got this game and it was in awesome condition and it is very enjoyable. It is a great game, I received it in good condition and it worked great. The shipping is fast, great buy! This was my first time ordering from this website, and to be honest, I had my worries. But everything went great, from ordering it to receiving it. I got it when I was told I would, tracking my package was easy to do, and I have not had any problems at all with this game, I love it! I definetly recommend this website for any and all video game players, and I will certainly be back! It was for my son. He loves the game. Said it was very challenging. He owns pretty much every Zelda game ever made. Minish Cap is a very fun and cute installment for the Zelda series. It's not very difficult to beat, but it is enjoyable enough to want to play a few times. With an interesting storyline and good, vibrant graphics, this is a great addition to any GBA collection. I've played all the Zelda games available for GBA, and this one was strikingly different. But it was also totally enchanting. It gave me a "wow" moment like I hadn't had from a game in a long time (I don't want to reveal it, because it took me by surprise). It was also the only one I started playing again soon after I finished. I'm a Zelda fan from way back. The first game came out when I was too young (or maybe too dumb?) to figure it out, but that didn't stop me trying. Later, I finally figured out how to play the game after getting an emulation program on my first Mac. When at last I got a GBA, the Zelda games were my first stop. I love the old-school graphics, and they're enough to satisfy when the actual game plot and play is of Zelda caliber. But Minish Cap makes it harder to say that! In Minish Cap, everything that you sort of imagined about the characters is suddenly there in so much more detail. You wouldn't think it, but this allows you to do more, and different things. The two worlds of this game might be better thought out and more fascinating than any Zelda multiple-world before. I love it on every level, including new aspects of gameplay (Kinstones, Ezlo), and using different tools. There's a lot of initial in-game instruction that would make it a good starter Zelda game if the player wouldn't mind then moving to the more retro look. Also, one of the nicest aspects is that you never feel quite as alone as you do in some other Zelda games. I loved the useful pets in the other GBA Zeldas, but here you have a hilarious companion through 99% of the game. That said, it's hard to adjust to some of the different controls in the game, and it would be nice if you could customize them. There are also some aspects that seem not quite realized or finished: there are tools/weapons you rarely use, a couple empty/pointless places (Anju's House), and new elements that are left totally unexplained (magic shells, ahem) while recurring elements are explained in-game in great detail. The needless changes also bothered me: "moles mitts" replace the shovel, and the mole mitts are kind of disgusting and scary looking. And while they may not be totally pointless or empty, there are also some places that just don't feel finished or like they reach their full potential (Royal Valley, Cloud Tops). I would say that type of thing is the only real problem with the game---it seems like there really should be more area, depth, and exploration. Still, this game is easily one of the best GBA games I've ever seen, from graphics to plot to gameplay. You can also play it multiple times, and will want to, so it's worth the investment. I wish there were another of this type of Zelda for GBA.